The Black Wooden Pirate Cutlass features a broad single edged blade with a fuller along the spine and a curve near the tip. 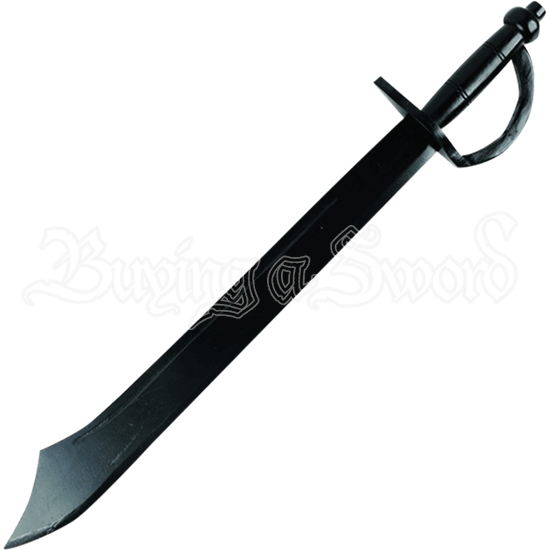 This wooden sword is an excellent choice for sparring and adds a great touch to any privateer costume. The D guard protects your hand from incoming blows. The grip is embellished with narrow carved lines. Perfect for cosplay ensembles, combat training, and theatrical productions, the Black Wooden Pirate Cutlass is great for all ages.